The picture-perfect Arcadia Dunes, part of the C.S. Mott Nature Preserve just south of Traverse City, are an ideal destination for those looking to get off the bike paths and escape into nature. There are plenty of trail running options here, from steep bluffs to shady trillium-speckled forests. 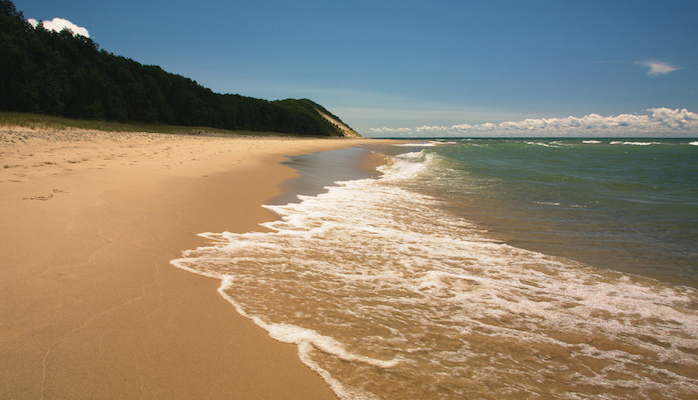 The beach itself is fairly wide and firm for running (the best beach access is from Green Point Dunes Nature Preserve, just to the north of Arcadia). Green Point Trails (about 3 miles round trip) on dirt singletrack and beach. Multiple trail options. Green Point trails are ~3 mies RT; Abby's Woods to Overlook Trail is ~2.5 miles.